One of our favorite places to find great information and news pertaining to motorcycles, pets / animals, Charleston, and law is on Facebook. Below are just a few of our favorite Facebook pages that we’d like to share with our blog readers. We hope you find them as wonderful and as beneficial as we do! 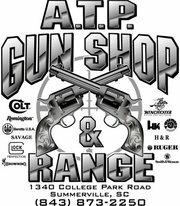 ATP Gun Shop & Range’s Facebook page is a great place to find upcoming shooting education classes and learn about local gun shows and events. We love the Lowcountry Harley-Davidson Facebook page because it provides great information on motorcycle parts, brands, products, and biker lifestyle. The Tri-County Bikers Helping Bikers Facebook page focuses on this non-profit charity organization that works to help raise money for injury motorcyclists. We are a huge supporter of this organization and hope that you will be, too. We enjoy visiting their Facebook page to learn about upcoming biker events in the lowcountry, as well as news and information pertaining to the South Carolina motorcycle community. We love the Charleston Animal Society because of their mission to help the animals of the greater Charleston area. 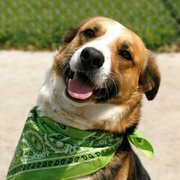 We also support their mission to educate animal owners on how to care for their pets. We’re huge supporters of local animal organizations and shelters, which is why we love Lowcountry Paws. This organization works to educate people about local animal events, pets up for adoption, and more. You can also Like us on Facebook by clicking here.